I mentioned in my last newsletter that the last two years had been hard. 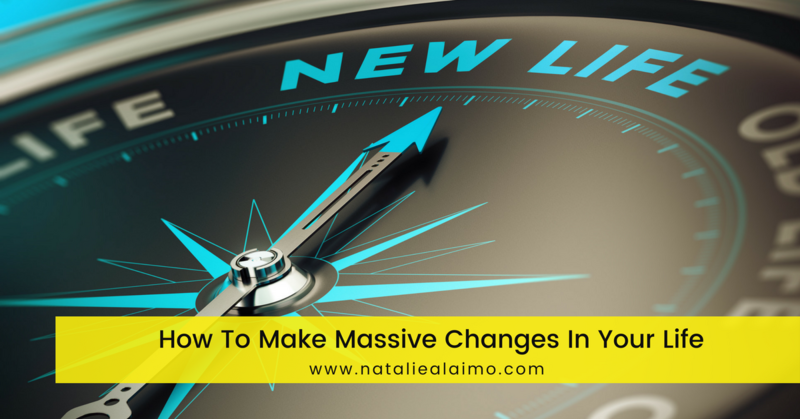 No one can prepare you for the massive life changes that occur with having children. My lack of sleep and poor nutrition snowballed into adrenal fatigue, moments of depression and anxiety. And my latest manifestation is a chronic lower back pain. While I’m not 100%, I’m certainly better than where I was. As you can imagine this has had a negative effect on our business in terms of productivity and income. My philosophy of improvement and change is to throw everything at it with the hope that some of it will stick. Most of these things will seem fairly simple or even obvious but it’s funny how, often, we aren’t doing the things we know we should be doing. I should also say that I’m not a health coach and have no qualification in anything I’ve written about, I’m simply sharing my experiences. The two priorities for me. I’ve been working with health coach – Michelle Edwards – and her philosophy is sleep and water first. Michelle is happy to offer you a free 30 minute consultation to see if Health Coaching is a good option for you. Email her or phone 0414 227 636. Make sure you mention my name! Each night I aim for at least 7 hours sleep. Obviously with Max this doesn’t always happen but 95% of the time I’m in bed by 9:00 – 9:30pm which allows me enough time for Max to wake up between 5 – 6am. I know that how I feel, eat and work the next day has a direct correlation to how much sleep I got the night before. So this has become a non negotiable. The same for water. When I drink enough water I eat better and don’t have sugar cravings which makes everything else better. 2 litres a day minimum. Instead of breakfast I’ve been enjoying a coffee with Brain Octane oil and butter. Yum. There is lots of information on the benefits of this and you can read more about it here. For me, it’s quick, easy and I feel a massive difference in the morning. Clearer more focused brain, allowing me to focus on what’s important. My husband loves his Bulletproof coffee as well and notices the difference when we skip it and have a “normal” breakfast. Without having to worry about making breakfast I’ve got plenty of time in the morning to enjoy my coffee, journal and cuddle with Max. I do this in two ways – I use an app called The Five Minute Journal. It’s literally 5 minutes or less each morning and night. In the morning, it prompts me to answer a few questions that allow me to focus for the day. Then in the evening I reflect on what was great. The second way is each morning I write down my 6 habits that I want to tick off. I also make additional notes that allow me to determine why I might be feeling a certain way. I didn’t think in the beginning that I would be able to write, hence the app. But I’m enjoying the morning writing practice and aiming to increase it to more journaling than writing my habits. As my productivity was failing so was business income. This added to the overall stress which made me feel worse. To make things easier I took on some external work. A few days a week I’m working with a small creative team on all things marketing – email marketing, writing content, social media, websites, SEO and so much more. I’ve identified that for me everything is worse with sugar and wheat in my system, so I’m working on cutting them out completely. Before my wedding, when sleep wasn’t a luxury, I was able to lose 25kg, and run a half marathon and felt amazing. The basis of this was the removal of sugar and wheat. So I know I can do it, this time around the cravings are strong and the stress levels higher. I’m making it a process of working on it, making small changes each and every day. Coupled with diet changes, I’ve introduced supplements. I take a range of supplements that help boost my nutrition, support the adrenals and reduce sugar cravings. I’ve finally realised that now that I’m getting closer to 40 (a few years yet, but almost there) and a mother I need to start making some adult decisions. For me this is mainly surrounding my finances and health. But really it’s about putting myself first to be able to support my family long term and create the life I want to live. I now swap new bags for paying my credit card and lunches out for the Wiggles shows. I’ve got a clearer picture on what’s important and how I want my future to be. It’s a process but I’m confident that I’ll get there. This is a big one for me… and I’m still working on it. Slowly but surely I’m looking within myself for the answers, instead of outside. I’ve now realised that I am enough and have all the answers I need. I don’t need to be like anyone else or do what everyone else is doing to be successful. I can be successful with my own knowledge and doing things the way I want to. It’s not uncommon for me to curl up on the couch after dinner and watch TV for a couple of hours before rolling into bed at 9pm. And then I hate myself for not reading all the cool books on my Kindle. So I need to really make an effort to read more and watch less TV. You could also include mindless scrolling of social media here as well. If you have mastered this I would love your tips. My ideal sentence here would be that I stress less because I meditate daily. But I’m lucky if I meditate weekly. Again this is something I’m working on, but I am calmer. Instead of stressing over Max’s sleep time or having everything done all the time, it’s easier to stress less. The world isn’t going to end, no one is going to die and life is about balance. I also don’t wait for everything to be aligned to get things done. In April I decided I would create a new SEO Course, so I did a pre launch and then starting writing it in June. Yes I was going to start in April, but life! I also didn’t (and don’t) wait until I have an hour or two free to write. I jump on my iPhone when I can and start. Most of my SEO course was written on my iPhone using the notes app, as was most of this blog. I can then email it to myself. I write when you can. Waiting in the car (not while driving), waiting for a lift. While your kids are watching TV. Instead of scrolling social media, write, create. Move yourself forward. Not everything has to be perfect. You don’t need to wait for a full moon or the first of the month to change your life. You can start today. You can start now.